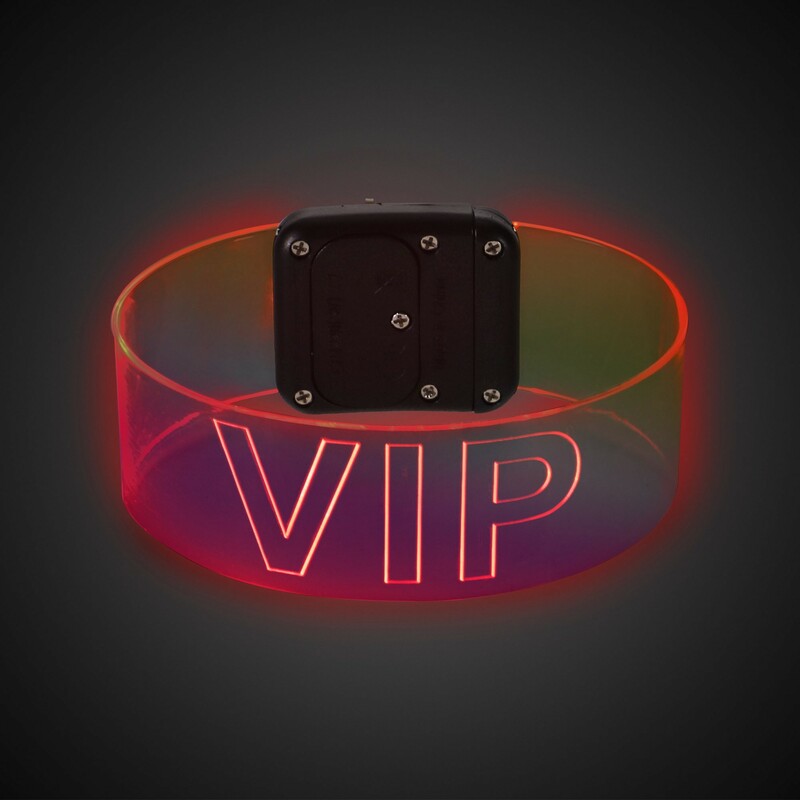 Pad Print: 2" x 3/4" / Laser Engraved: 4" x 3/4"
Light up your guests with our brightly lit Multicolor LED Magnetic Bracelets! 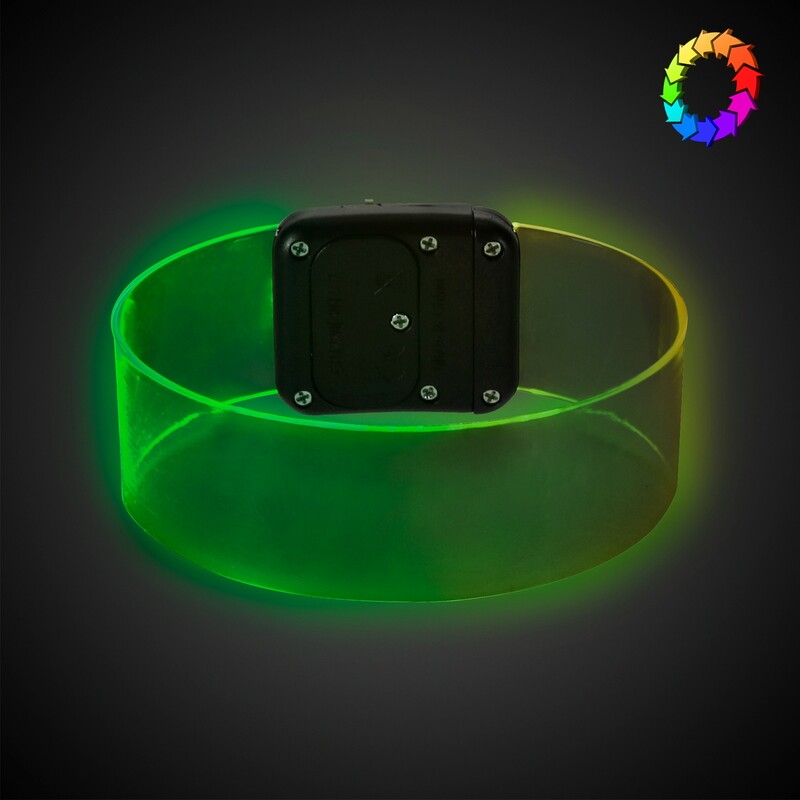 Bright LED lights shine along a thin, flexible, clear bracelet making it perfect for any nighttime event! Turn it on by sliding the switch up for a steady on light cycling through white, red, green, and blue LED lights. Simply slid the switch back down to turn it off. 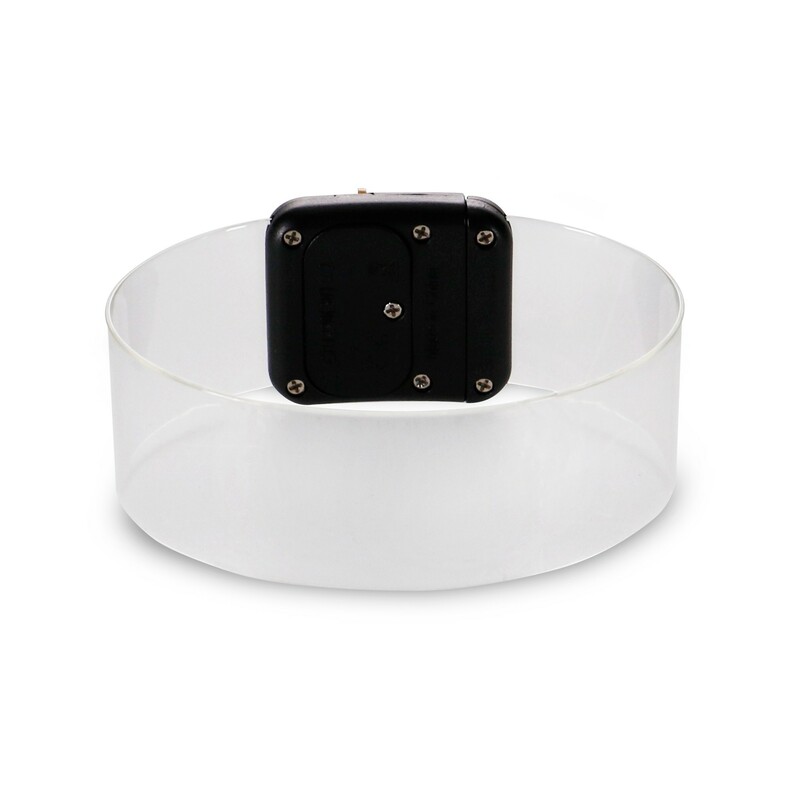 Each clear bracelet measure 8" long x 1" wide and comes complete with a magnetic clasp. 2 replaceable CR1220 batteries are included and installed. Our amazing Multicolor LED Magnetic Bracelets are perfect for raves, parties, promotional giveaways, nighttime events, ribbon awareness, nighttime runners, or anywhere a rainbow of colors fits your theme. Call for custom imprinting for an unforgettable memento at your next event! Really make your logo or message pop with Laser Engraving! 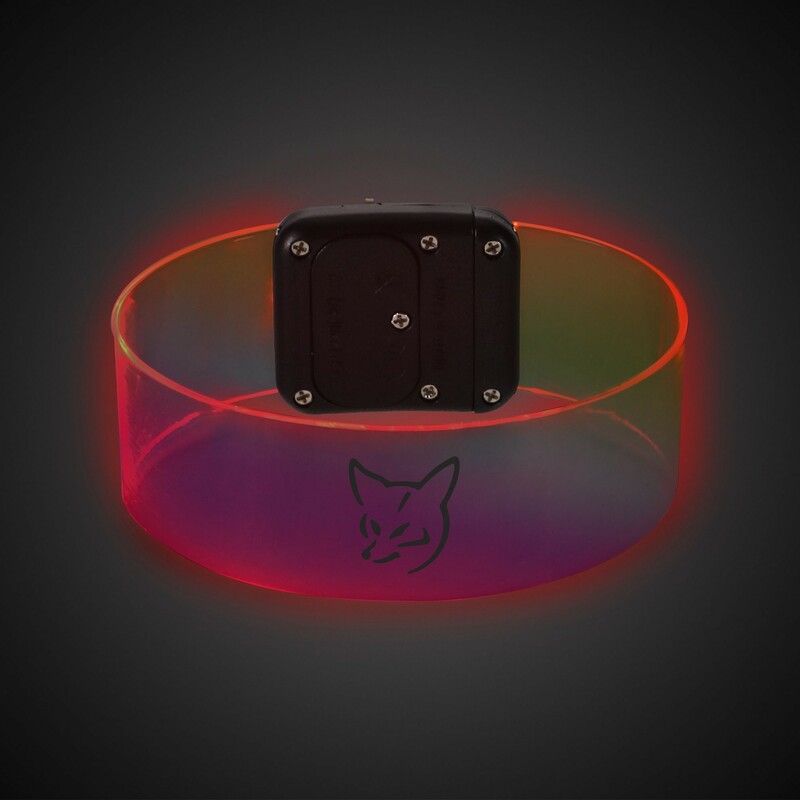 Please note: Laser Engraving (LZ) may leave a smokey residue. Please Note: Clear plastic until activated. Above pricing includes 1 laser engraved logo in 1 location. For all imprinting add a Set-up fee of $55 (v). We may offer additional locations and up to 4 spot colors, PMS matches acceptable @ $14 (v) per color. For each additional location and for each additional spot color add a Set-up fee of $55 (v) and a running charge of $.25 (v) per color, per location. Repeat set up fees apply. Call for details. Imprint Minimum is 200 pcs. Imprint Method: Pad Print and Laser Engraving. Production Time: 5-10 business days after receipt of artwork and approval.